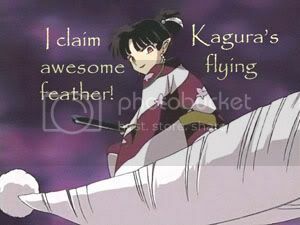 I claimed Kagura`s awesome flying feather! Everyone should have one. I claimed Miroku`s Staff in the Claiming Game! Everyone has their addictions. Mine are fanfiction, Sesshomaru and KARMA!!!!!!!!!! 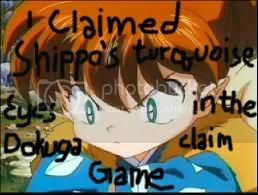 Bakusaiga is mine via the Claiming Game thread. I am off in my own world. You want me to send a postcard or something? It takes courage to kill, wit to avoid it and strength to never be tempted. Sometimes you\\\\\\\'ve just gotta bite the bullet and take the plunge. Sometimes you just have to say \\\\\\\'I was wrong\\\\\\\'.